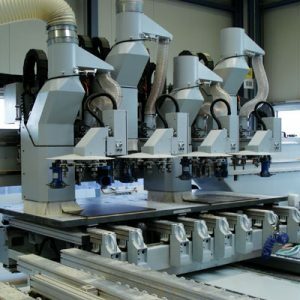 The manufacturing industry demands ever increasing levels of accuracy and quality, a prime example being CNC panel machining. To be truly flexible enough for the needs of our customers both today and in the future we consistently invest in the latest technology, tooling as well as operator training. 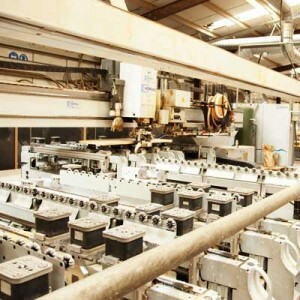 With the growing complexity of customer requirements, products and shorter delivery periods Our CNC panel division offers a manufacturing solution which is both flexible and efficient as well as capable of dealing with our customer’s needs. Our range of technology not only makes us highly competitive in the market place but also able to take on higher productions runs than ever before, thus expanding our effectiveness to companies who need to outsource large volumes of work. We can also effectively handle short runs so don’t worry. Our Homag BMG 512 3 and 5 axis CNC machine is our latest purchase. Through discussions with Homag about our proposed future direction as well as our customers needs right now we have purchased the largest most sophisticated model that Homag have produced for the UK market. 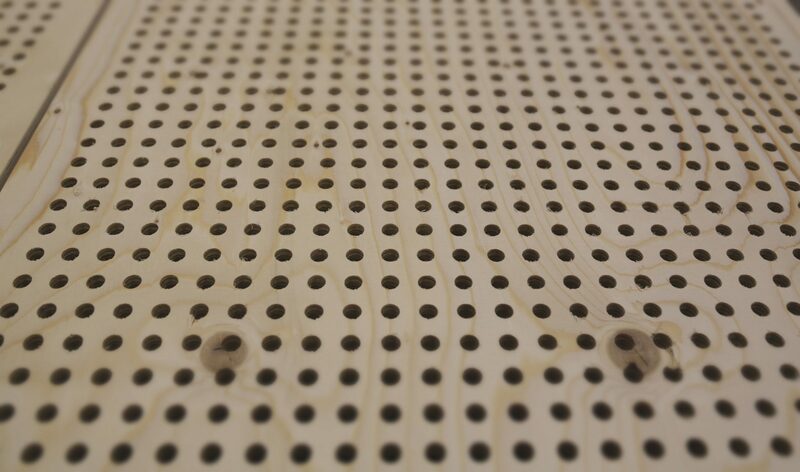 With this machines dedicated matrix bed and laser guidance we are able to precision cut like never before! plus we can now enter them realm of 5 axis CNC machining bringing even more options to our customers as well as opening doors to new ones. 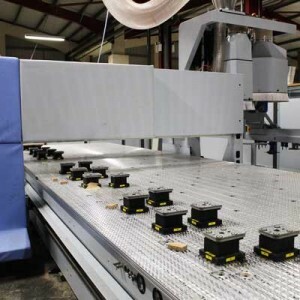 Our most sophisticated BAZ 723 was one of the largest ever to be installed in the UK by Homag – this machine works alongside our existing BAZ 723 handling thousands of components each month. The Homag BOF 714 with its 4 machining heads can more than double our output and gives us the advantage of a matrix bed. 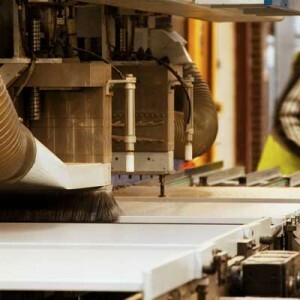 This gives us the greater versatility required for drilled, routing and shape work will by maximising sheet material for a greater yield, therefore offering the customer a more competitive price. Following an assessment of the production profile for the peak months of 2011, the decision was taken to invest in a Weeke BHX 055 CNC. This compact machine has been specifically designed for low or single batch component manufacture which forms part of Starbank’s product profile. The installation of the BHX 055 will enable Starbank to offer it’s customers cost effective rates for low volume or prototype orders. 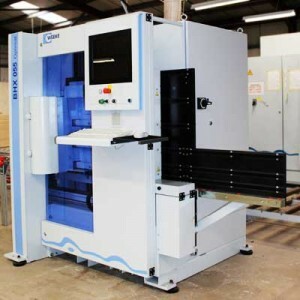 This machine is flexible and easy to set up and will enable us to more efficiently schedule production to those machines best suited to manufacturing them, keeping costs to a minimum. Something that is crucial to all businesses in today’s cost conscious economic climate. This machine allows us to offer even more choice to our customers as it enables high speed horizontal and vertical cnc machining on a through feed line for medium to very large batch runs. This new technology not only makes us highly competitive in the market place but also able to take on higher productions runs than ever before, thus expanding our effectiveness to companies who need to outsource large volumes of work.